Are you a curious traveler who would love to experience a country with a local – but private guides don't fit into your budget? Do you enjoy traveling with others – but find those packaged tours too crowded and impersonal? We know how you feel. We are introducing affordable, custom tours that focus on foreign culture, foods, and unique sites. Local guides will show us around. There's nothing quite like having someone who can suggest foods to try, translate when necessary, and answer the dozens of questions that arise as you're discovering a new country. Join us for our first tour, exploring Poland and Czech Republic with an exclusive group of like-minded travelers. Our small-group adventure will be offered in conjunction with Culture Nomad Group, a new cross-border cultural experience provider that is based in Malaysia. Our itinerary was prepared by a well-established company in Warsaw that specializes in custom tours of Poland. Warsaw has been the capital of Poland since 1596. It is full of lots of people from all over Poland, and it is a very vibrant, modern, but green city. Warsaw has a rich and interesting history and is proud to be the birthplace world famous Maria Skłodowska-Curie (the Nobel Prize winner in chemistry and physics) and Fryderyk Chopin (the great musician and composer). Warsaw's Old Town was razed to the ground during the Second World War, but it was faithfully rebuilt and is now registered in the UNESCO list as a World Heritage Site. Our plane will land in the morning, and our tour leader will meet us at the airport and load our bags onto the minivan. We will have an easy introduction to Poland with a 2-hour panoramic guided tour of Warsaw. After lunch, we will head to Krakow. During the 4-hour drive, our guide will tell us more about Polish culture and you can nap on the way. Dinner at the hotel. Krakow used to be the capital of the state and the home of kings. Since 1978, the Historic Center of Krakow, along with its former Jewish quarter, is on the UNESCO list. The Market Square is one of the largest medieval squares in Europe and Sukiennice is an ancient textile market where you can buy handmade artisanal products. Historic Wieliczka salt mine is the only mine in the world that has been consistently worked from the Middle Ages to our times. Its original excavations (tunnels, inclined planes, operating chambers, lakes, wells), with a total length of about 300 km, have been arranged on 9 levels and reach as deep of 327 m. In historical times, between the eleventh and twelfth centuries, Wieliczka was one of the largest salt centers in Europe. Today, it is an absolutely gorgeous salt museum with dozens of underground salt statues on display. The mine is listed among UNESCO's World Heritage sites. After breakfast, we will take a guided tour of Krakow and get the chance to take a look at the St. Mary's Basilica, one of the best examples of Polish Gothic architecture. Later in the afternoon (probably around 3pm), tour Wieliczka Salt Mine (the tour lasts 3.5 hours). The Cloth Hall and Town Hall Tower in Krakow Old Town. Rafting down the Dunajec River is a favorite European tourist attraction and is one of the most exciting attractions in Poland. The ride is relaxing and scenic, the river is no deeper than a meter and every raft has a local mountain guide dressed in a folk highlander costume to ensure an enjoyable experience. You will cross the picturesque lands of the Pieniny National Park and its steep mountain slopes. Krakow check out at 8am, drive to Szczawnica for rafting, drive to Jeleśnia near Żywiec and check in (around 7 pm). Żywiec Brewery Museum is one of the biggest and most modern beer museums of its type in Poland, since 2011 it has been a part of the European Route of Industrial Heritage. After visiting the brewery, you can try a special type of brewery beer. Koniaków, a small village in Polish mountains, is home to a number of folk workshops. You can visit a traditional shepherd's hut, taste different local homemade cheeses, watch a sheep shearing using traditional tools, see how typical Polish white sweet sheep's cheese is produced, and attend a mini workshop on making woolen decorations. While we are there, we will take a cooking classe and learn how to make Polish dumplings using traditional ingredients. Dumplings are a traditional Polish dish. Of course we will get to enjoy everything we prepare! Visit Żywiec Brewery Museum in the morning, then continue to Koniaków (folk workshops). In the afternoon, we will drive to the Czech Republic’s second-largest city. Brno is in the Moravian region, and our guide will explain more about Czech culture on the way. We will arrive in Velké Meziříčí and check in to our hotel around 7.30 pm. Český Krumlov, in Bohemia’s deep south, is one of the most picturesque towns in Europe – a UNESCO World Heritage Site. Walking through the cobbled streets is like walking through a fairy tale. You can walk from one side of town to the other in 20 minutes. 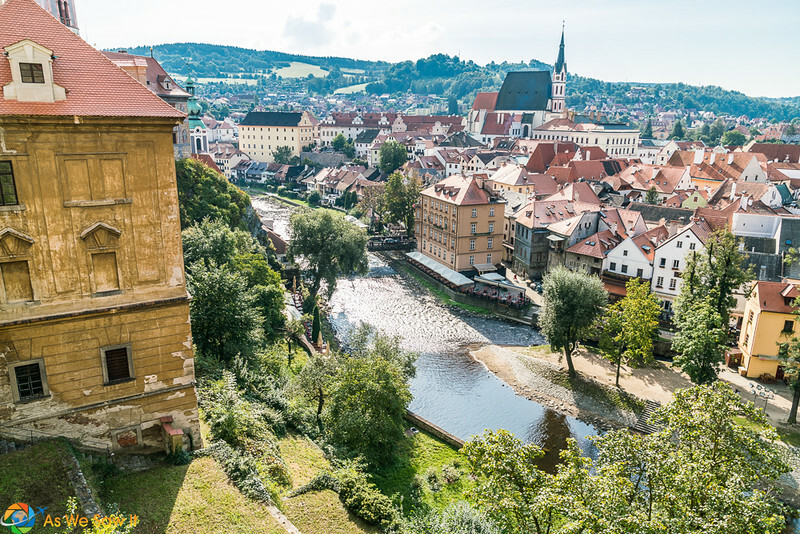 We can't say enough nice things about the Czech Republic; we took a 21-day road trip through the country and loved it. Get ready … you'll come home with some beautiful photos! Check out of our Brno hotel (8am), then drive to Cesky Krumlov, where we will have a guided tour of the town and castle. We drive to Prague in the afternoon and check in around 8pm. Dinner at the hotel (around 8.30 pm). 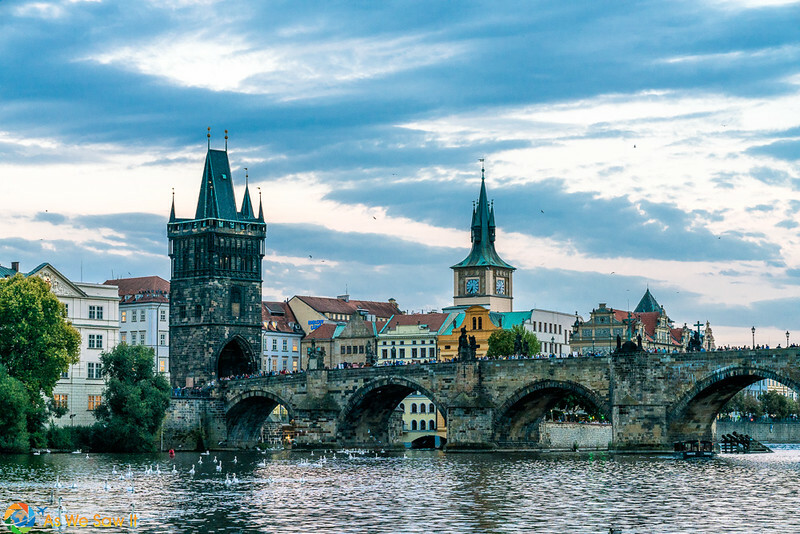 The capital of Czech Republic, sometimes called the City of a Thousand Spires, is one of Europe’s most beautiful cities. Prague has hundreds of years of history and a first class architectural heritage with beautiful examples of Gothic, Romanesque, Renaissance and Baroque buildings, which can be found around every corner in the historical city center – it is another of the remarkable stops on our tour that are inscribed on the UNESCO Heritage list. Our day in Prague begins with a guided tour. After that you can have free time for shopping, resting, or whatever you fancy. We will see Świdnica Church of Peace, another Polish world heritage site. At 1090 square meters, it is the largest wooden baroque church in the world. The church dates from the 17th century and can accommodate 7500 people. You will be astonished at the ornate interior! “The underground city” of Osówka is a part of a huge unfinished Nazi project that they called Riese. The complex remains a mystery, because documentation is missing. Some historians believe it may have been a combination of military or political headquarters (HQ) and arms industry, but no one is quite sure. We will take a guided tour through some of the 1500 metres of the underground ciry's corridors, workings, halls and bunkers and try to figure out some of it for ourselves.. Check out (8am), then drive to Poland, explore Osówka, visit the wooden church at Świdnica, and arrive at our Wrocław hotel around 7pm. One of the oldest cities in Poland, Wroclaw lies on the bank of Odra river. Actually, it is located on several islands connected by over 100 bridges. Wroclaw is called the Venice of the North. In different parts of the city you will discover small dwarf figurines here and there, because dwarfs are the symbol of the city. TWarsaw's most amazing building is Centennial Hall – listed on UNESCO World Heritage List, because of its unique construction. Check out after breakfast, then take a guided tour around Wroclaw (9am-12.30 pm). Drive to Warsaw after lunch, check in at our hotel around 7 pm, then have dinner. We have arranged a later checkout (till 10 am) so you have time to pack. We might take a short Warsaw guided tour if flight time allows. Drive to the airport and say goodbye to Europe. All entrance fees for activities – Osówka, Świdnica, Cracow Mariacki Church, rafting on the Dunajec River, Żywiec Brewery, the Wieliczka Salt Mine, Cesky Krumlov Castle, craft workshops and cooking class. Share these on Facebook and other social media. A friend and I are interested in the Czech Republic and Poland tour. when will you be going again? Hi Elva, thanks for your interest. We haven’t got any plans to repeat that itinerary because readers are asking for an Eastern European Capitals tour. Tentatively, that tour would include Warsaw, Prague, Vienna, Bratislava, Budapest, Bucharest and Sofia. We are working on a way to fit 7 countries into a two week vacation for our American audience. How does that sound?